Behind the Creative Process • Lime Valley Advertising, Inc.
Communication knows no boundaries, and with that understanding Lime Valley Advertising is able to work successfully with clients in a wide range of industries. 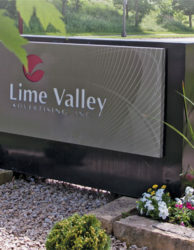 Lime Valley accomplishes this through its process of discovering key brand messages for its clients and then dispersing that message among various advertising mediums (a practice known as integrated marketing communications). IMC saves time and money by shifting the marketing approach to focus on content as a whole rather than the individual projects. 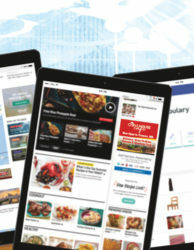 This gives a client the ability to deliver relevant and quality content consistently, which allows its audience to position the company precisely where desired in the industry. By focusing on those specific messages, the sum of a client’s marketing communication becomes greater than the individual parts. Lime Valley has refined its process to help identify the client’s needs, the client’s client’s needs, and the gap in the client’s marketplace. This identification comes from a creative brief, research, interviews, and defining the whitespace. As discussed in the August 2015 Storyboard article, the creative brief is a detailed yet concise outline of the key factors affecting the direction of a marketing project. Whitespace is the area(s) of opportunity in the marketplace where customer needs or perceptions are not currently being met by the industry. 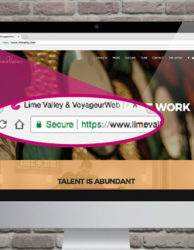 With the vast amount of design and marketing today, it is crucial to find these gaps that allow Lime Valley to help clients break through and get ahead in the marketplace. Once these opportunities have been identified and messages (visual, textual, or both) have been determined, Lime Valley starts sketching concepts and designs for marketing materials. All stages of development and all aspects of the piece itself aim to satisfy the final goal of the marketing collateral. Lastly, final deliverables are completed. No matter the project, Lime Valley leverages the talents of its staff to create the highest quality marketing communications materials. 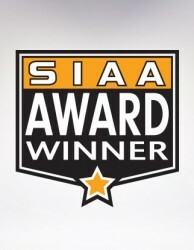 For the agency’s service industry clients, these projects sometimes result in award-winning pieces.